I talked summer eating on the Bon Appetit podcast last week — and learned all about Joe House at the same time! Speaking of podcasts, Effinbradio, a Charleston-based show, has some insider fun with the food and beverage (F&B, effinb, get it?) industry. Check it out. 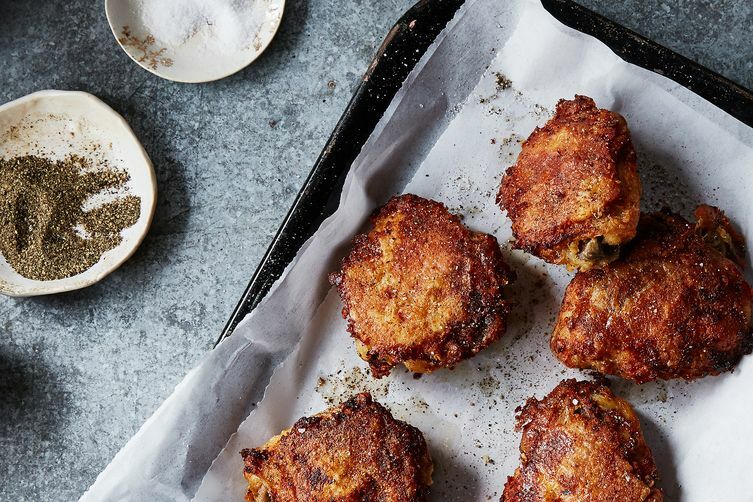 Jewish cookbooks, and the stories they tell. George Saunders on Donald Trump. Remember how I was looking for new kitchen chairs? Only took me two years, but I finally ordered these. What happens when Starbucks wants to sell your product? My upcoming 8th grader’s summer reading list: The Hot Zone (done); The Glass Castle (started); Code Name Verity (on deck). An early book endorsement in from Ree Drummond, mastermind behind the Pioneer Woman empire: “I have been an ardent fan of Jenny Rosenstrach’s beautiful writing for years. I always know that every word of her books will be something to savor, and How to Celebrate Everything will strike a chord with anyone who enjoys family, friends, and delicious food.” Ree Drummond, guys, Ree Drummond! Photo credit: Bobbi Lin for Food52. Code Name Verity is SO GOOD, and I read it as a 29 year old. I still think about it periodically. I hope she enjoys. loved this list. so excited for your book I can’t wait and what? i wasn’t following on IG? rectified. Swipe Code Name Verity from your daughter and read it quick! It is a wonderful book. I can see it for a high school class but am kind of surprised it is assigned reading for middle school. Very weighty topics. I guess I should clarify that these were not technically “assigned” by the school. They were mostly assigned by her sister and her parents. Yes, all of them are weighty topics — haven’t read Code Name Verity, but, along with the rest of the world, have read the other two. Oh…Code Name Verity — have you read it? It stuck with me. I LOVED it, but it was not an easy read. Brace yourself! But Oh man, I loved that book. Happy reading! It’s disappointing to read a round-up at the end of this week that doesn’t include any reading or thoughts around Alton Sterling, Philando Castile, and the officers killed in Dallas. Even if just an acknowledgement of the emotions at play this week around dinner tables across the country. It’s something we should be talking about at the meals we share together, physically and virtually. Thanks for your comment, Sarah. Just because the events in Dallas, Minnesota, and Louisiana are not included in this round-up does not mean it hasn’t been discussed around our tables and elsewhere. The truth is, I’m feeling about as helpless and upset as any parent (and human) is about everything that is going on right now, and if you have any specific suggestions or if you’ve read anything particularly insightful or powerful, please feel free to share. That’s what this forum is for and I know I wouldn’t be the only one who would be extremely grateful. Thanks. I totally get it. I feel helpless, too. I was comforted this week by seeing the people I follow online talk through their thoughts and I always enjoy your voice. It’s been great to see people with a platform being vocal about what’s going on. I wish I had something to share that resonated in a particularly powerful way, but I don’t. Just enjoying feeling community and connectedness where I can find it. Thank you for your response. Here’s hoping for a better week for everyone. Just speaking for myself here– I cried with my son talking about the recent deaths of people just trying to move through their lives, make a living, do their jobs… The heartbreaking madness appears to have no end. That said, I need a break from it. Here I WAS, taking a break from it, and enjoying book recommendations and a luscious-looking chicken recipe, which I’m pretty sure I’m allowed to do, at a venue not meant to solve every societal ill (really, it’s NOT in Jenny’s job description). I don’t mean to seem callous… I’m just exhausted by bad news. In my house we just finished A List of Things That Didn’t Kill Me, which is a Pacific Northwest version of The Glass Castle. Highly recommend. I HIGHLY recommend the book The War That Saved My Life. It’s a great YA book also set in WWII. I’ve read all of the books and each was really good! Just discovered your blog…I can’t believe you’ve even heard of EffinBRadio!!! True journalism on your part, ‘salute’. I’m from Charleston and my friends and I can’t get enough. I thought it was SUPER underground…Wow!